Great weather, fantastic paddle, good food and fun. 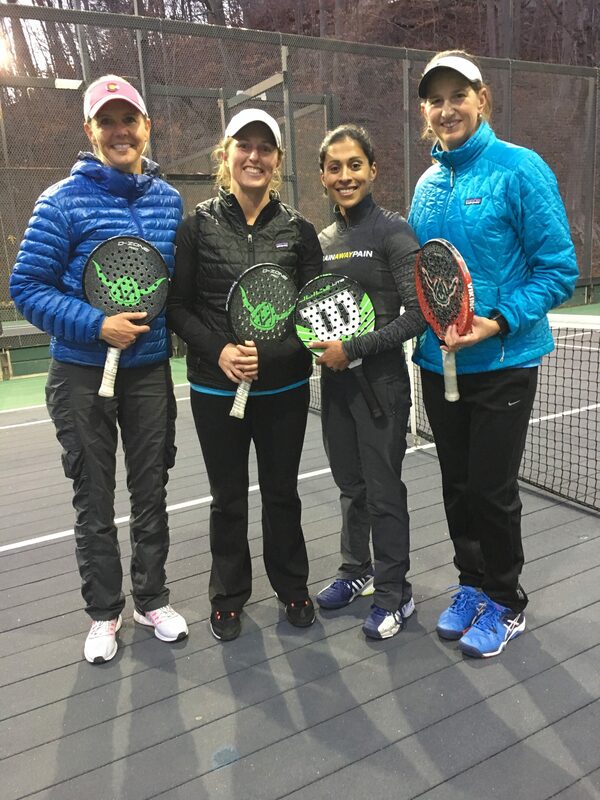 Unfortunately the second seeded team of Mary Gambale and Lindsay Herschel had to drop out half way through their quarter final match due to an injury but the finals was an amazing match with the underdogs taking the win! I am attaching some pictures, too. 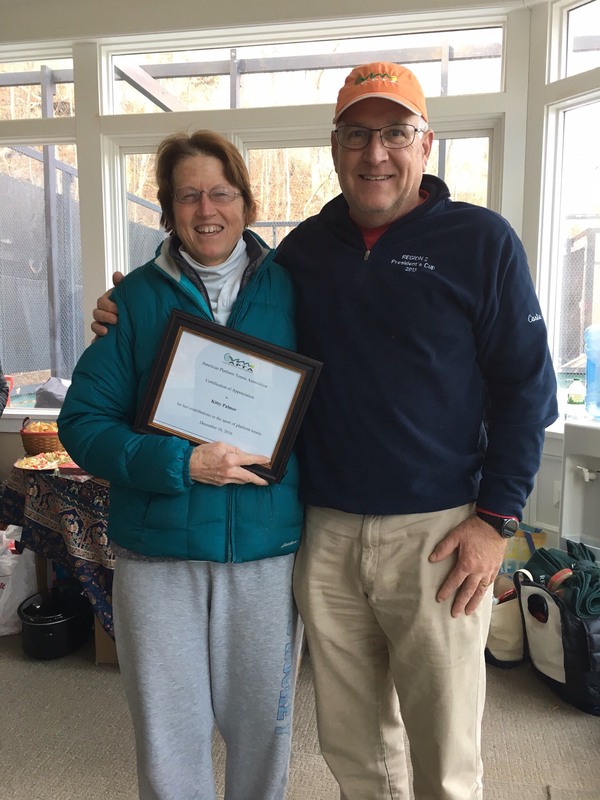 We honored Kitty Palmer for running the tournament for over 30 years with a plaque from the APTA presented to her by Court Pro President and former APTA President, Rob Coster.